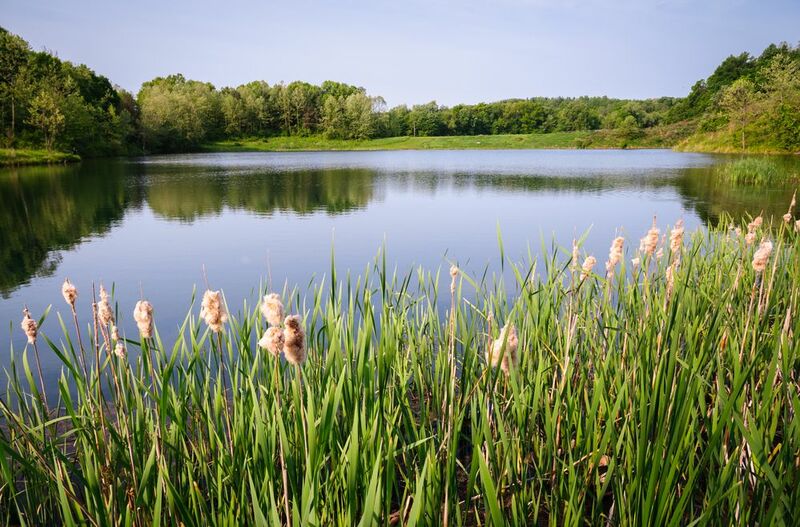 This national park contains 33,000 acres along the Cuyahoga river between Cleveland and Akron. There are many things to do in Cuyahoga Valley National Park, which includes more than 125 miles of hiking trails and the second tallest waterfall in Ohio. Other activities include visiting waterfalls, biking, enjoying historic buildings, skiing, birdwatching, fishing and riding the historic railroad through the valley. Brandywine Falls is a 65 foot waterfall formed by Brandywine Creek. It is the second highest waterfall in Ohio and one of the most popular attractions in the park. It is only a short walk from the parking lot area to either of the two observation platforms. We have visited it twice (both times in the winter). The creek has formed a gorge below the falls and we have always found it a serene experience away from the hustle and bustle of everyday life. Walk or ride the trail historically travelled by the mules towing the canal boats along the Ohio & Erie Canal. The Towpath Trail becomes a boardwalk over Beaver Marsh just north of the Ira Trailhead. Once an automotive junkyard, the area has been reclaimed by the park and wildlife. Don’t forgot to bring your binoculars and camera. This area is popular for birding and the park was named one of the top 25 places in the world for nature photography in 2010 by Outdoor Photographer. 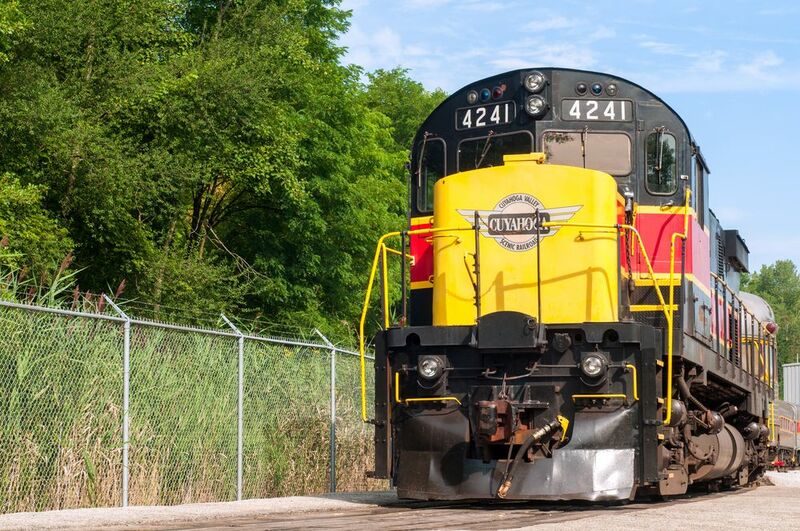 Passengers can board at Rockside station, Peninsula Depot or Akron Northside Station for a 2.5 hour roundtrip excursion by train through Cuyahoga Valley and the National Park to enjoy a unique view of the scenery, wildlife and wetlands of the area. During the summer, the Cuyahoga Valley National Park train has a Bike Aboard! program which allows bikers to travel the trail in one direction and take the train back in the other direction for a $5 fare or with the purchase of an unlimited pass. The stations are located approximately 2 to 4.5 miles apart along the towpath. The Visitor Center was originally constructed in 1836 and now serves as a museum to canal boat building in Cuyahoga Valley. If you are interested in learning more about the Ohio and Erie Canal and its impact on the region, this is a great place to spend an hour. Through its history, the building housing the visitor center has served as a store, warehouse, post office and gathering place. Everett Covered Bridge is one of the most photographed locations in Cuyahoga Valley National Park. The 100 foot covered bridge in the park is a replica of the original 19th century bridge, which is believed to have been built around the 1870s. It was twice repaired before it was destroyed in 1975. Subsequently, the Conservancy for Cuyahoga Valley National Park (then called the Cuyahoga Valley Association) rallied a group of local citizens, private organizations and government agencies which raised the money for the replica, which was completed in 1986. Ohio led the country in the construction of covered bridges, and this covered bridge was one of more than 2,000 in the state in the 19th century. Everett is the last covered bridge remaining in Summit County. Everett Covered Bridge is located at 2370 Everett Road, a half mile west of Riverview Road in Boston Township. It is located over Furnace Run, which is one of the largest tributaries of Cuyahoga River. The replica is closed to vehicle traffic. Visitors park at a nearby parking lot and walk to the historic structure.